William the urban tree man is almost done! His character was conceived by my friend Colleen, who helped me to write my Minnesota State Arts Board grant application. I promised to make him in trade for her expertise. I imagined him as a very skilled mouse, cutting down diseased trees and planting new life. 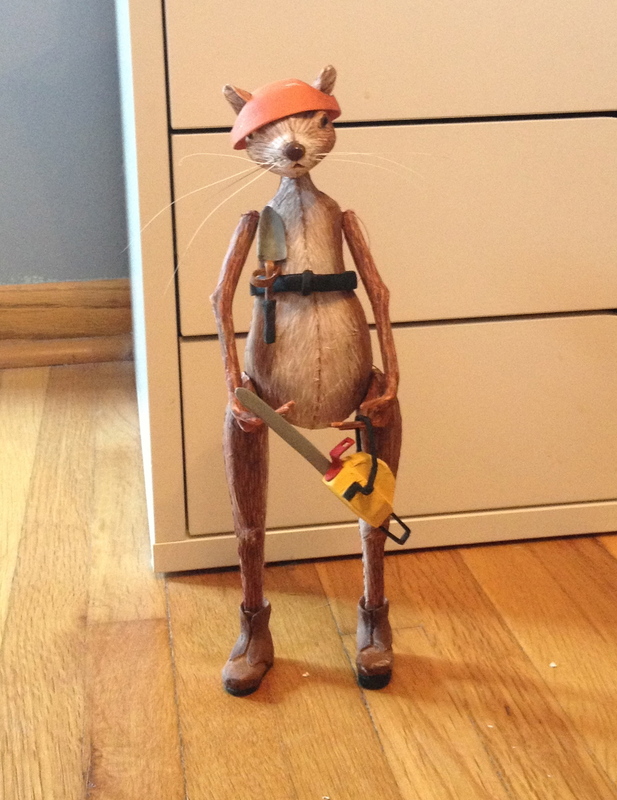 He has his tool belt for his shovel and ax (the ax is not pictured....still need to add the loop to his belt.) 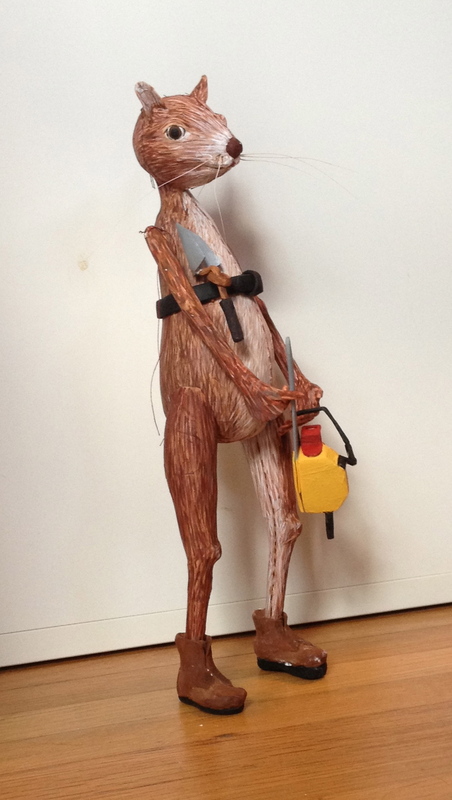 He wields a chain saw when necessary. He keeps his headgear close by. Colleen said he also has a german shepard, but I think I have done enough accessorizing. I am still futzing with a large shovel trying to get the proportion right. And he still needs his tail attached. The whiskers are from my cat Bug; everything else is paper clay covered in sewing pattern paper and painted with acrylic. I hope she will love him. Thank you so much Colleen for believing in me and insisting I apply for the grant!